The WIAA is pleased to announce Port Susan Middle School's Emma Floyd and Northwood Middle School’s Caleb Shawen as the December “Give Me 5” Star Students of the Month. 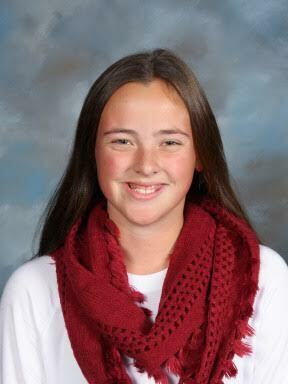 Floyd is a seventh grader from Port Susan Middle School in Stanwood, Wash. She is a three-sport athlete, participating in volleyball, basketball and soccer. Floyd is also involved in the Knight’s jazz band, playing piano both inside and outside of school. Leading by example, Floyd is full of school spirit and both athletic and academic efforts. She has maintained a 4.0 grade point average while taking upper-level classes. “Emma is the athlete that is often much more talented but doesn’t let that go to her head,” said Von Moos. 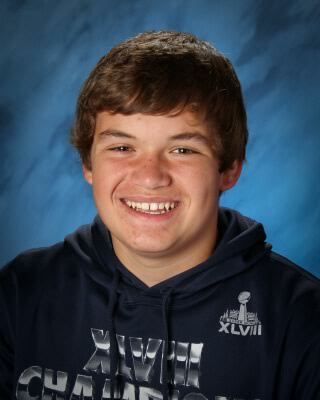 Shawen is an eighth grader from Northwood Middle School in Spokane, Wash. He currently participates in school baseball and football, the latter of which he helped to a 5-1 record this fall. Exemplifying the values of sportsmanship and respect, Shawen has found the balance of treating everyone on his team equally while still remaining competitive when he plays. The hardest working athlete on the team, he has been able to lead by example both on and off the field. Maintaining a 3.83 grade point average, Shawen has remained conscientious about his academic work and takes it a step further by always being willing to help students who are struggling in class. “He has that rare combination of extreme talent and humbleness, which is shown by his helpfulness and gratitude,” said Athletic Director Patrick Round.